So I haven't played the most recent game and I've only played the main console games, and I am yet to read a book, but other than that I think I can speak on this subject with confidence. So, ok, I've only enjoyed four out of the thirteen games and none of the six novels, four films, five novels and I've never even seen the encyclopaedia, but still I really like what I have played. 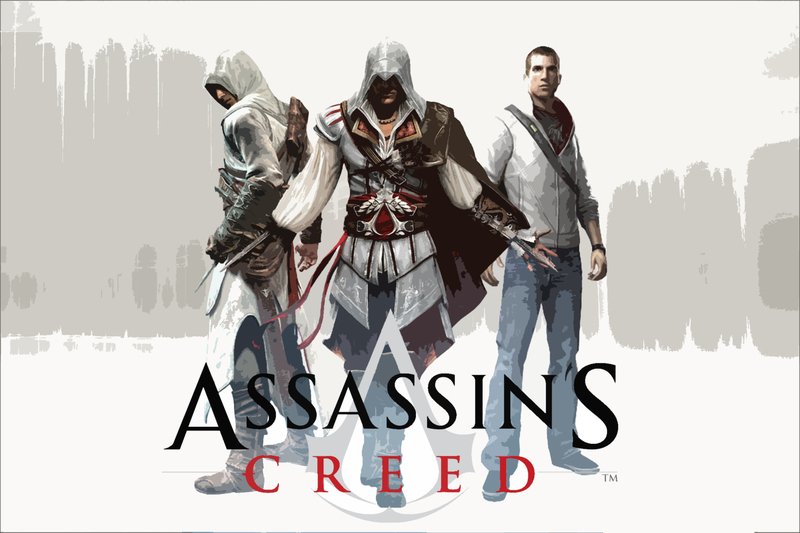 The Assassin's Creed games are third person games set the near future and in historically significant eras of the past including the crusades and the renaissance. I find that the worlds are beautifully designed, straight out of the history books. With historical characters like Richard the lion heart, Saladin, Da Vinci, the Borgias and others, all fully fleshed out, realistic and as scary/creepy as you'd expect. The thing I love about the Assassin's Creed games isn't the settings or the characters, though they are awesome, it's not the story, which isn't amazing to be honest, it's the way you move, how you travel around. It's like parkour in ancient times. Climbing things, jumping, running, it's done really well. As far as I know this was the first game to ever make it so that anything that looks like you can climb it; you can climb it. Before Assassin's Creed game's you'd have games that would have you jumping around all over the place, but only on specific objects. Objects that were highlighted, or a specific object used over and over again. In Assassin's Creed (and all of its subsequent releases) if you think you should be able to climb it you can. If you can reach it you can climb it. In the subsequent games the tech and the gameplay has only gotten better, strengthened and become more fun. I still love Altair, the main character from the first game, but after three releases with the sequel's character, Ezio, I've grown to love him as well. These games have been released on PS3, Xbox 360 and PC, steam sells the first for £9.99, though its really a controller game.